Do you know what&apos;s great? Summer vacation has ended, but the festivals are still not over here in Greater Lansing. 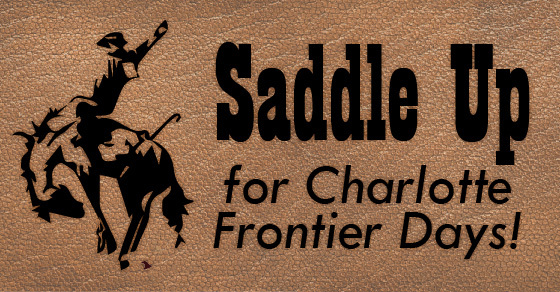 We&apos;re coming off the Labor Day weekend and the Chicken Wing Festival that went along with it, and now running September 1013 it&apos;s time to head to Charlotte for their 45th annual Frontier Days. According to their website, it&apos;s got the Rootinest, Tootinest, Rip-Roarin&apos; Shootinest, Wild and Wooly rodeo, an arts and crafts market along with a Frontier market (which looks like a flea market), and for your entertainment and dancing pleasure-the Frontier Days Saloon. And don&apos;t forget to stake out your spot at Saturday&apos;s 10:30 a.m. parade down Cochran and Lawrence Avenues. It sounds like a blast. Next up on the Greater Lansing festival calendar is Beerfest at the Ballpark and the Michigan BluesFest. I&apos;m not complaining, but it&apos;s a bit of a challenge when planning out my weekends. It&apos;s seriously hard to leave the area and not miss all the great entertainment in my own backyard. So I&apos;ll ask you again. Do you know what&apos;s great? It&apos;s all the festivals that make Greater Lansing so great. Get out and enjoy!